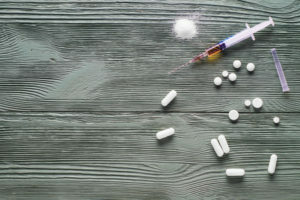 Heroin was the top drug cited as the primary substance of abuse by individuals admitted into public state-regulated addiction treatment programs in 2014 in Massachusetts. Approximately 50.3 percent of treatment admissions reported heroin as their primary substance of abuse, the Massachusetts Department of Public Health (DPH) publishes. Heroin is an illegal opiate drug that has been gaining popularity in recent years. In 2005, only 38.2 percent of treatment admissions cited heroin as the primary substance of abuse. Heroin is a powerful opiate making its way into the United States from Mexico, Southeast Asia, South America, or Southwest Asia where it is cultivated from the opium poppy plant. Major East Coast cities, including Boston and its surrounding cities, are some of the biggest white powder Mexican heroin markets in the United States, the 2017 National Drug Threat Assessment published by the Drug Enforcement Administration (DEA) reports. Heroin can also be laced, or “cut,” with the synthetic and even more potent opioid fentanyl, which can be made in clandestine laboratories and doesn’t have to be grown in specific climates. The DEA publishes that for the calendar year (CY) 2016, Massachusetts had the second highest number of fentanyl reports to law enforcement in the United States behind only Ohio. Nearly 4,000 fentanyl-related arrests and drug seizures were made in Massachusetts during the CY 2016. Individuals may not realize that the heroin they are purchasing contains the extremely potent fentanyl, resulting in a potentially fatal overdose. Nearly 2,000 people died from an opioid overdose in Massachusetts in 2016; fentanyl, heroin, or both were found in the blood of 85 percent of these fatalities, the Office of Senator Elizabeth Warren reports. In the United States, drug overdose deaths involving heroin have tripled since 2010. The Centers for Disease Control and Prevention (CDC) publishes that Massachusetts overdose death rates are higher than national averages. The national drug overdose rate for 2015 was 16.3 per 100,000 population while the Massachusetts drug overdose rate was 25.7 per 100,000 population. The Boston Globe reports that in 2017 opioid overdose deaths in Massachusetts actually dropped just over eight percent (the first decline in several years), which presents a hopeful trend that prevention, treatment, and recovery efforts throughout the state are helping. In 2017, the Massachusetts DPH publishes that while fentanyl was the number one drug involved in overdose deaths (found in 83 percent of toxicology screens), heroin was second, present in 43 percent of toxicology screens of fatal overdoses. Since heroin and fentanyl are often intermixed and unknowingly combined, again, it is also possible that individuals dying from a fentanyl overdose may have believed the drug to be heroin instead. The National Institute on Drug Abuse (NIDA) explains that close to 80 percent of people who abuse heroin began by misusing prescription opioids first. 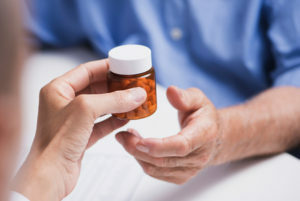 Prescription painkillers can cause drug dependence with long-term and regular use. They can also produce a mellowing and desirable “high” that encourages individuals to misuse them. Prescription painkiller addiction can then segue into heroin abuse. The American Society of Addiction Medicine (ASAM) warns that close to one-quarter of those who use heroin will then battle heroin addiction. The state of Massachusetts has taken several measures to minimize prescription drug abuse in an effort to prevent heroin abuse and addiction. For example, the Prescription Monitoring Program (PMP) is a statewide database that allows prescribers and healthcare professionals to track the dispensing of controlled substances, such as prescription opiates, to help recognize and put a stop to potential misuse of these medications. Additional legislation such as An Act Relative to Substance Use, Treatment, Education, and Prevention further improves the PMP, enacts a seven-day limit on new opioid prescriptions, mandates drug disposal programs and locations, and enhances statewide educational and preventative measures. There are several prescription drop box disposal sites across the Commonwealth where residents can get rid of prescription medications they are not using to prevent them from being misused and diverted for recreational use. Prevention efforts are often community-based as well. Community and nonprofit coalitions are often funded through the Massachusetts Opioid Abuse Prevention Coalition (MOAPC). With opioid overdoses reaching epidemic levels across the United States and within the Bay State, federal, state, and local officials and leaders are working to stem the tide. Massachusetts has several laws and measures in place to reduce the number of overdose deaths in the Commonwealth, including a Good Samaritan law that encourages individuals to report a suspected overdose by protecting them from drug-related charges themselves. This law also allows bystanders to administer the overdose-reversal drug Narcan (naloxone) for which Massachusetts has a standing order that allows pharmacies to dispense the opioid antagonist medication to those who need it. Massachusetts residents can find a local pharmacy offering naloxone through the standing order by consulting the DPH list of pharmacies. The state Overdose Education and Naloxone Distribution (OEND) Program trains first responders and bystanders on how to properly administer naloxone and how and where to get the medication. The nonprofit End Mass Overdose helps to design and implement policies as well as runs education and preventative efforts to reduce and minimize overdose deaths. Within Massachusetts, the Boston Globe reports that organizations are allowed to dispense clean syringes, often as part of a needle exchange program. 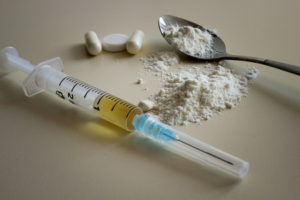 Heroin is a drug that is regularly abused by injection, and the use of dirty needles increases vulnerability to blood-borne and infectious diseases like HIV/AIDS and hepatitis. Clean needle exchange programs hope to minimize this risk. In 2017, Massachusetts saw a rise in number of new HIV cases, and injection drug use is a serious risk factor, playing a major role in this alarming trend, the Boston Globe publishes. At this point, there are more than 20 needle exchange programs in Massachusetts, several of which can be found through the North American Syringe Exchange Network (NASEN) listing by locality. These programs are generally run by nonprofit and community-based providers and coalitions. Many of these programs, such as the Access Harm Reduction Overdose Prevention and Education (AHOPE), run through the Boston Public Health Commission (BPHC). They not only offer clean needles in exchange for dirty ones, but they also provide overdose prevention education, risk reduction counseling, medical care, and referrals for addiction treatment services. Addiction treatment services in Massachusetts are monitored and overseen by the Bureau of Substance Addiction Services (BSAS), which falls under the Massachusetts DPH. 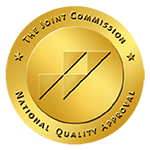 This division licenses local providers and designs and implements prevention, treatment, and recovery efforts in the Commonwealth. The Massachusetts Department of Mental Health (DMH) operates 27 offices within the state that provide treatment resources for residents struggling with mental illness based on where they live. Residents of Massachusetts can receive a wide range of treatment services, both through the public and private healthcare sector. Public programs accept all residents, even those without health insurance or the financial means to pay for treatment. Treatment is generally provided to pregnant women, families, and those in immediate crisis first on a priority basis. Public programs often have waiting lists while private treatment facilities may be more readily accessible. Private programs often accept health insurance and offer payment plans to cover treatment services. Massachusetts Substance Abuse Helpline: Operated 24/7 through both phone and web-based platforms, this is an anonymous and free service for Massachusetts residents seeking information and referrals for drug abuse and addiction treatment. Behavioral Health Treatment Services Locator: This national tool is operated by the Substance Abuse and Mental Health Services Administration (SAMHSA) and provides information on local (based on zip code) state-regulated treatment services by type. Massachusetts DMH Resource Guide: This resource provides information for residents on how to access behavioral and mental health services within the Commonwealth. Massachusetts Organization for Addiction Recovery (MOAR): This organization supports residents in recovery and helps families and individuals to find local treatment services as a statewide initiative. Magnolia New Beginnings: This Massachusetts nonprofit organization focuses on substance abuse prevention and offers educational resources and information to support local families and individuals battling drug abuse and addiction. New England Region of Narcotics Anonymous (NERNA): This recovery-support and self-help organization provides confidential and peer-based support through a 12-Step program with meetings held all over the state of Massachusetts. Learn to Cope: This is a Massachusetts organization designed to offer encouragement and resources to families with loved ones battling addiction.